Info : The Karate Kid (simplified Chinese: 功夫梦; traditional Chinese: 功夫夢; pinyin: Gōngfu Mèng; literally "The Kung Fu Dream"; also known as Karate Kid is a 2010 American martial arts action drama film and remake of the 1984 film of the same name. It is the fifth installment of the Karate Kid series, serving a reboot. The film was Directed by Harald Zwart and produced by Will and Jada Pinkett Smith, the film stars Jackie Chan and Jaden Smith. Principal photography for the film took place in Beijing, China; filming began around July 2009 and ended on October 16, 2009. 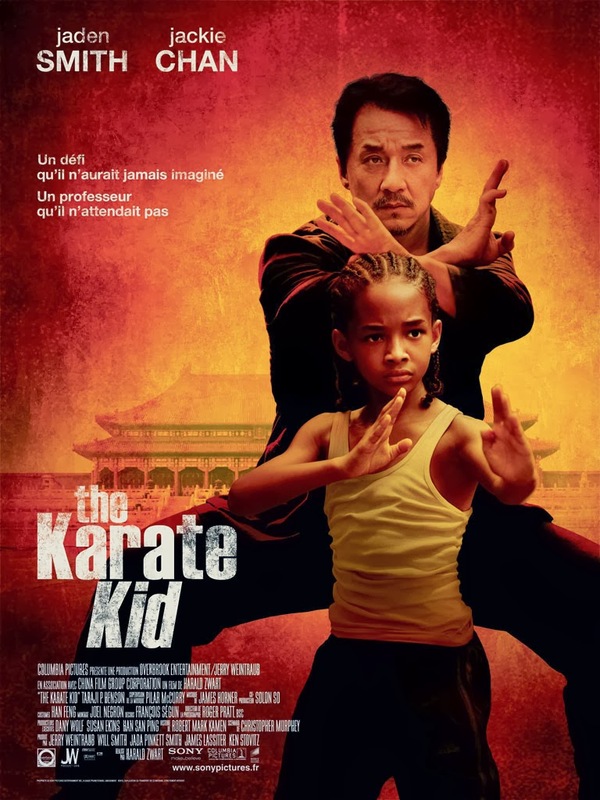 The Karate Kid was released theatrically in the United States on June 11, 2010. The plot concerns a 12-year-old boy from Detroit, Michigan who moves to Beijing, China with his mother and runs afoul of the neighborhood bully. He makes an unlikely ally in the form of his aging maintenance man, Mr. Han, a kung fu master who teaches him the secrets of self-defense.